Up to 40% Off Office Chairs at Amazon – GREAT DEALS! Today only, get up to 40% off office chairs plus free shipping at Amazon. For example, this Serta Valetta Dovetail Home Office Chair drops from $199.99 to $120.48 shipped. It’s height adjustable and is made with memory foam. 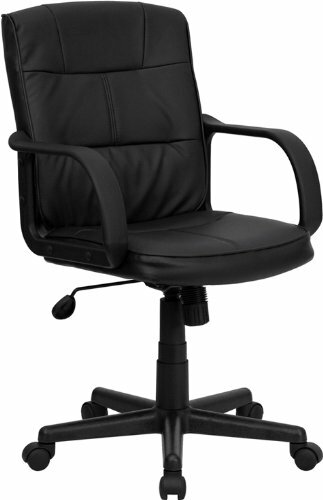 Or, get the pictured Flash Furniture Mid-Back Black Leather Swivel Task Chair for $40.85 shipped, regularly $109.99. Shipping is free.